Dar Lighting Bueno 2 light bathroom wall fitting features two cylindrical, frosted glass light diffusers which fix horizontally to a square, polished chrome backplate. The product code for this Dar bathroom wall fitting is BUE0950. The use of simple colours and different textures within this fitting make it a subtle yet smart addition to almost any contemporary bathroom. Operated by a pull cord switch which is located on the bottom of the backplate. 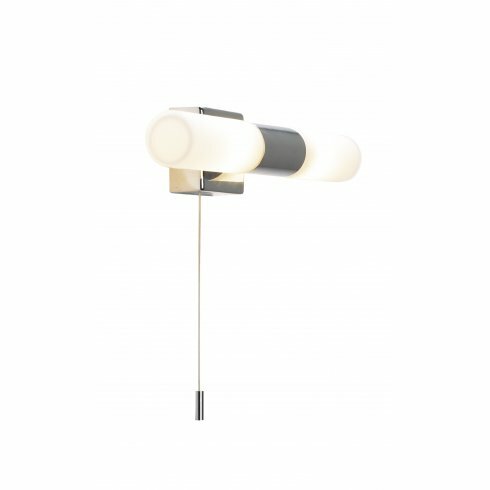 Also available as a single light, vertical fixture which can be viewed and purchased from our website.